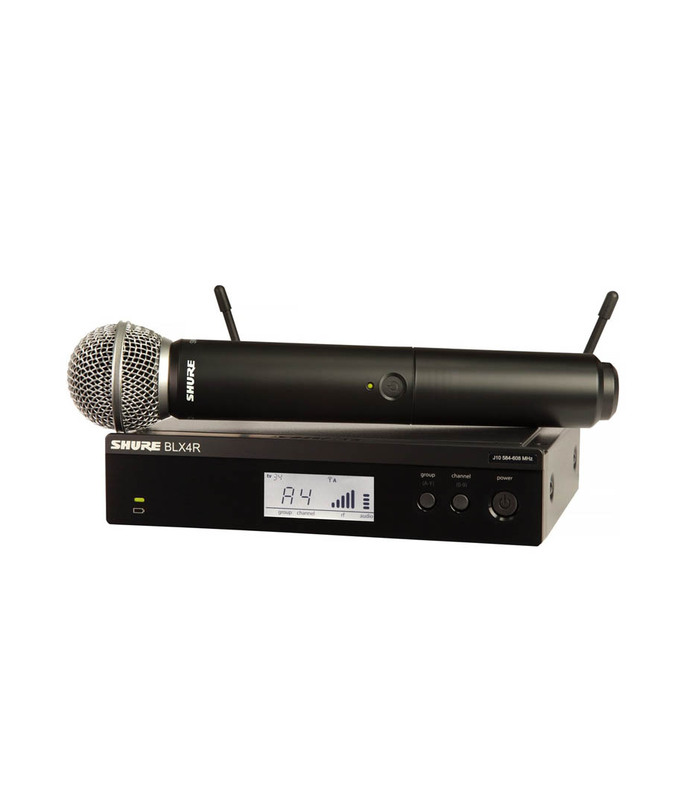 The Shure BLX24RUK/SM58 offers professional vocal reproduction alongside rock solid wireless connectivity allowing the freedom of the entire stage. The BLX4R receiver has been designed for a quick setup, with user friendly intuitive controls making operation easy. Included is the rack mounting system required to mount the BLX4R into a standard 19U rack space. Microprocessor controlled internal antenna diversity provides rock solid and dependable communication to the transmitter whilst the 'One touch-QuickScan' frequency selection system quickly locates the best open frequency to battle any potential interference. For a wireless system you can depend on for outstanding vocal tone and stage ready reliability, the Shure BLX24RUK/SM58 is the perfect choice. The system includes: BLX4R single-channel receiver, rack mounting kit for BLX4R, BLX2/SM58 handheld transmitter, microphone clip and power supply. BLX24RUK SM58X K14 from Shure is 100% original and is available at NMK Electronics. Speak to our expert for booking a live demonstration. After sales customer service is an integral part of our business ethic and is taken very seriously.